Tottenham became the first Premier League team not to sign a single player over the summer since the transfer window was created in 2003. 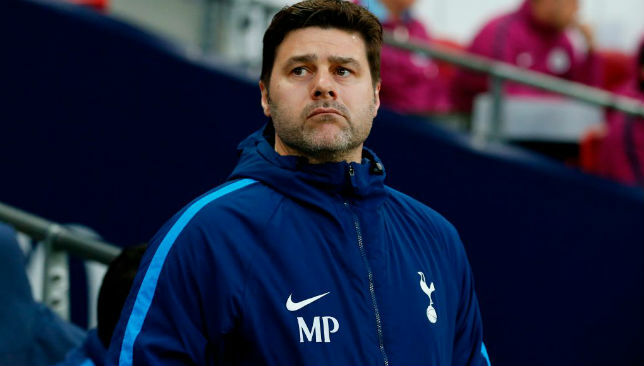 Mauricio Pochettino claims that Brexit has made things too costly for a club that has just built a new stadium and training ground. Spurs could now be getting ready for ‘Dexit’ (or Rexit?) 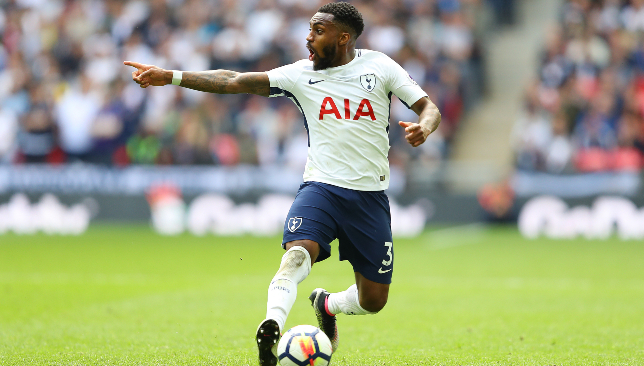 as speculation surrounds left-back Danny Rose. The England defender has long fallen down the pecking order at Tottenham, with Ben Davies now the established option on the left, leading Bundesliga side Schalke to enquire about a loan deal earlier this month. But according to The Sun, Rose is holding out for a move to a star-studded Paris Saint-Germain. Though the Premier League deadline has come and gone, there’s still three weeks left in the European transfer window to thrash out a deal – likely on a loan basis. It does seem unlikely, however. Rose at the very least is a fine back-up and, given that Tottenham have not signed anyone, may need to hold on to him just for homegrown rule purposes. Yerry Mina believes he can fight for trophies with Everton after putting a line under his brief stint with Barcelona. The Colombia defender made just four La Liga starts, including a poor display in Barca’s shocking 5-4 defeat to Levante, but had done enough to turn the heads of the Toffees. 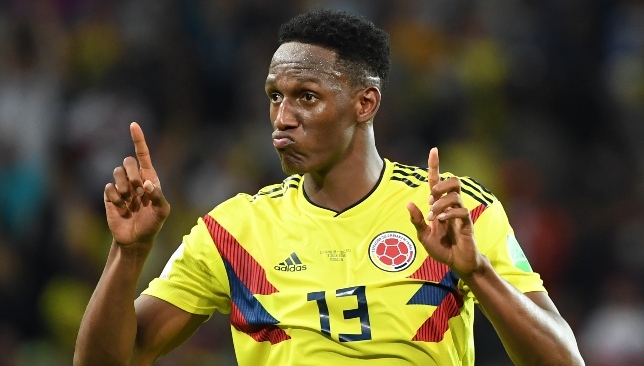 Indeed Mina was part of a water-tight Colombian backline at the World Cup alongside Tottenham centre-back Davinson Sanchez, while scoring three goals from four matches. While his game needs refining, the Toffees have shelled out €30.25m for the 23-year-old – almost triple the fee that the Blaugrana paid to pluck him from Palmeiras in January. But Mina is confident he can flourish in the Premier League. “It is important that the club want to fight for something,” said Mina, who will also be joined by former Barca team-mate Andre Gomes at Everton. “This is why I am here. “I know about Everton’s players and I look forward to being able to play with my new team. I have spoken a lot to the coach and I know his passion for Everton and determination to be successful. I am also determined to do my best for Everton. The transfer window has slammed shut on the Premier League and all eyes will now be on the big kick-off, with Manchester United and Leicester City getting us under way on Friday night. It’s been a manic summer in terms of money flying around as teams look to strengthen, and even though it was a fairly busy final day on Thursday, there were no jaw-dropping moves from the likes of United or Tottenham. Everton and Fulham were busy as they got some last-minute signings in through the door before it closed. Here we assess the winners and losers among Premier League clubs. A year ago a bucket of cash was thrown at a wall by the Toffees to see what would stick. Not a lot as it turned out. Davy Klaassen, who was brought in for £24.3million from Ajax, played just 16 games in total and was shipped off to Werder Bremen a few weeks ago for half that. Cenk Tosun, £20.25m bought him from Besiktas and yielded five goals in 14 appearances, while Sandro Ramirez, scorer of 16 goals in 31 games for Malaga in 2016/17, netted once in 15 games before being sent back to Spain on loan. The homecoming of Wayne Rooney – admittedly a free transfer – was short lived as he departed for the MLS, while Henry Onyekuru is on loan this season at Galatasaray, having spent last year with Anderlecht. Michael Keane, £25.65m acquired his services from Burnley, endured a nightmare debut campaign. Only Jordan Pickford, Gylfi Sigurdsson and Theo Walcott can be deemed successes. That accounts for £90.36m of the £182.88m shelled out – or just under 50 per cent. This summer seems a completely different story. 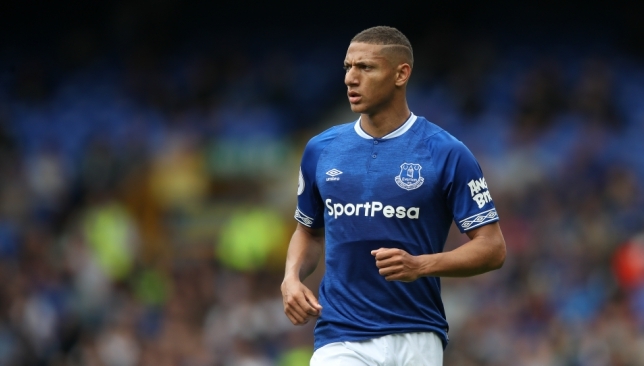 A total of £82.72m has been parted with, which has seen three players acquired from Barcelona, a 14-times capped Brazil playmaker who scored 10 goals in 29 games for Shakhtar Donetsk last season and one of the finds of 2017/18 in Richarlison from Watford. Yerry Mina is still raw but should thrive in the physical environment of the Premier League while the likes of fellow Blaugrana alumni Andre Gomes (a £2.03m fee has secured his services for the season) and Lucas Digne could shine away from the bright lights of the Camp Nou. A shimmering start for Marco Silva. Fulham and Wolves have taken a radically different approach to fellow promoted side Cardiff as they begin life in the top flight – cash is key. And although money doesn’t solve every problem, Slavisa Jokanovic will feel pretty pleased with the business his side did on deadline day. Andre-Frank Zambo Anguissa, who helped Marseille reach the Europa League final last season and made 37 Ligue 1 appearances as the club finished fourth in the table, followed Sevilla stopper Sergio Rico and impressive young Manchester United defender Timothy Fosu-Mensah through the door on Thursday. When you add that haul to the likes of highly-rated Ivorian midfielder Jean Michael Seri, last season’s top scorer Aleksandar Mitrovic, excellent Swansea defender Alfie Mawson, Callum Chambers on loan from Arsenal and World Cup winner Andre Schurrle, still just 27 and signed for a minimal £360k loan fee for the season, the Cottagers have to be content with that. 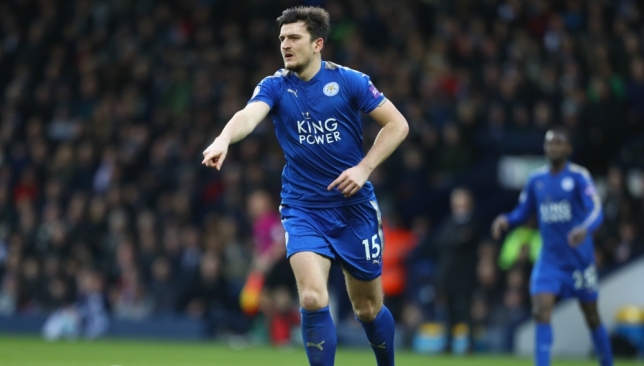 They managed to keep the vultures away from their prized possession in star England centre-back Harry Maguire, while also trying down penalty box poacher Jamie Vardy to a new four-year deal. Turkey defender Caglar Soyuncu was prised away from Freiburg on deadline day. The 22-year-old’s rise has been quite remarkable. A few years ago he was playing for Altinordu in Turkey’s second division, but had been linked with Arsenal and Manchester United. He was joined by promising 21-year-old centre-back Filip Benkovic from Dinamo Zagreb. A job well done for Claude Puel, who probably also delivered the line of transfer deadline day when he was asked about Maguire’s future in his Thursday press conference ahead of their Premier League opener with United at Old Trafford on Friday. 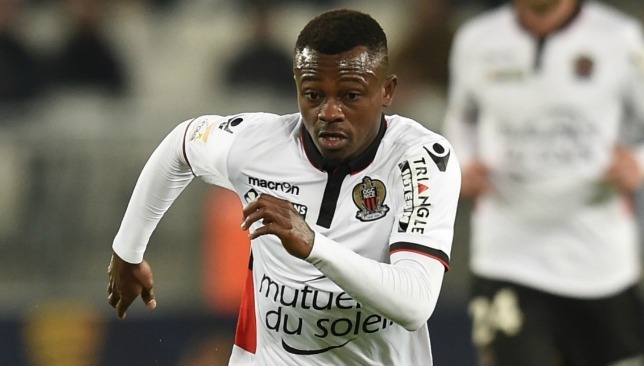 “I can confirm he is going to Manchester – but only for a couple of hours,” said the crafty Frenchman. Oh Claude, you wicked scamp. When you add in the shrewd capture of Jonny Evans from West Brom for just £3.6m, not to mention Monaco winger Rachid Ghezzal and England U21 midfielder James Maddison, the Foxes look in fine fettle. The first Premier League side to not make a single signing in a summer window. Just let that sink in. A team who have established themselves over the last decade as a top-six side and bona fide Premier League title contenders. A team who have the best striker in the league. A team who have one of the finest managers in the league. And yet despite finishing second in 2017 and third in 2018 they have now failed to add quality to their squad for the second summer in a row. That is unforgivable. Even though we will lump Manchester United in with them among the category of sides who will be feeling frustrated rather than fulfilled this summer, at least United have brought players in. When star men Kane, Christian Eriksen and Son Heung-min required heavy artillery in order to compete with their rivals, Spurs chairman Daniel Levy has instead provided them with spears. Don’t be surprised if they are bombed out of the top four for the first time since 2015. Fred is United’s only signing of note. On the face it and when you compare them to Spurs, it’s not been a total disaster for United. 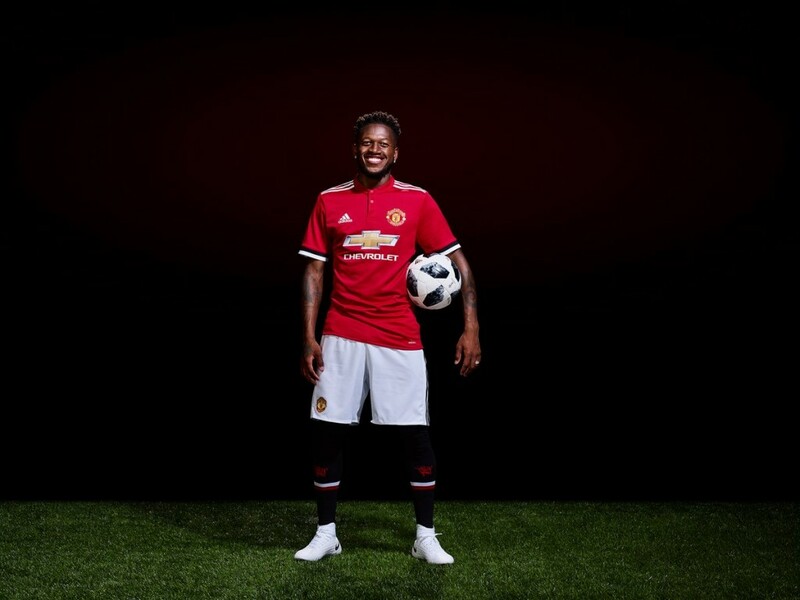 They bolstered their midfield with the acquisition of Fred from Shakhtar Donetsk. The Brazilian should prove to be a perfect addition to a midfield unit that relied far too heavily on Nemanja Matic’s ageing legs last season. The Red Devils’ engine room has been far too light in recent campaigns so Fred’s energy and ingenuity will be welcome. They also signed Lee Grant to fill a need as third-choice keeper and Diogo Dalot, though unknown, is an attacking young full-back who comes with a good reputation. But it’s the general dour demeanor of Jose Mourinho in recent weeks and the sniping about lack of support from Ed Woodward and the United board that should concern United fans. Are those in the boardroom fully behind their manager, who is entering the dreaded third season? The Portuguese hasn’t lasted at a club beyond it. They might be thinking ‘why back him if he’s out of here in 12 months?’. Whatever their reasons, United’s impressive early summer business has been dragged down by the dragging of feet in recent weeks, with pursuits of Toby Alderweireld and Harry Maguire ultimately coming to nothing. His club had a decent day in all honesty, bringing in players in key areas. They simply had to replace Real Madrid-bound Thibaut Courtois and even though they had to part with a world record £71m for a goalkeeper in bringing in talented yet raw Athletic Bilbao stopper Kepa Arrizabalaga, it was better than the alternative of having Willy Caballero or Rob Green in between the sticks until January. Even though Arrizabalaga was bought for twice as much as the £35m they sold Courtois for, they did get the carrot of having Mateo Kovacic coming to Stamford Bridge on loan for the season. Alongside N’Golo Kante and Jorginho, Chelsea’s midfield looks polished ahead of the Premier League kick-off. 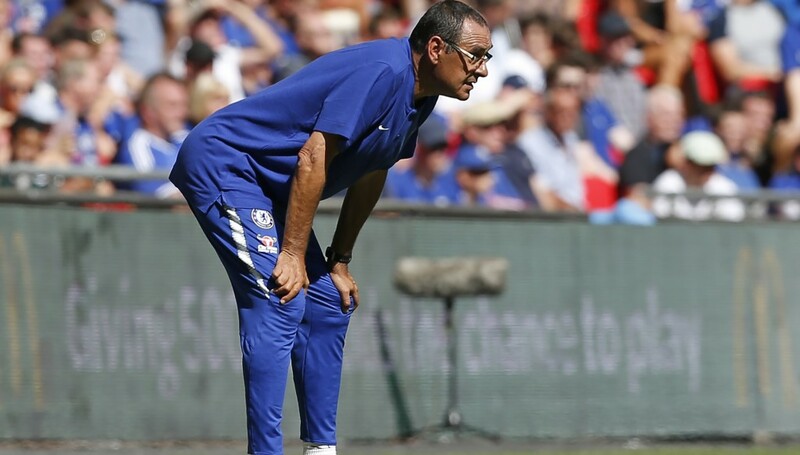 The problem is Sarri himself, whose lack of time with his new squad – he wasn’t allowed to join Chelsea until just before the World Cup ended – could hinder a fast start from the Blues. Sarri’s methods are known to take hours to implement on the training pitch. Factor that in with integrating Kovacic into the 11 and hoping 23-year-old Arrizabalaga’s transition into a physical league like England’s top flight is seamless – highly unlikely – it could be a long few weeks ahead.